Suicide is an epidemic that we tend to think of as a modern thing. While suicide rates have gotten worse in the US and are projected to get worse in developing countries, humans have been taking their own lives for about as long as we’ve had the tools and knowledge to do so. It’s a tragic event for all parties involved, especially the friends and family of the person who passed on, leaving tens, hundreds, thousands, or, in the case of some recent celebrity suicides, millions of people with slews of questions, with panic, and with fear. Suicide forces us to think of our own mortality and the fragility of our own mental state—just how vulnerable are we to a bout of depression or life taking a wrong turn on us, leaving us with what, at least perceptively, feels like nothing worth living for? With suicide, death isn’t certain, not even within a near margin. There are many more suicide attempts than actual suicides (25 attempts for every fatality), and those who try to kill themselves have to live with the consequences for the rest of their lives. 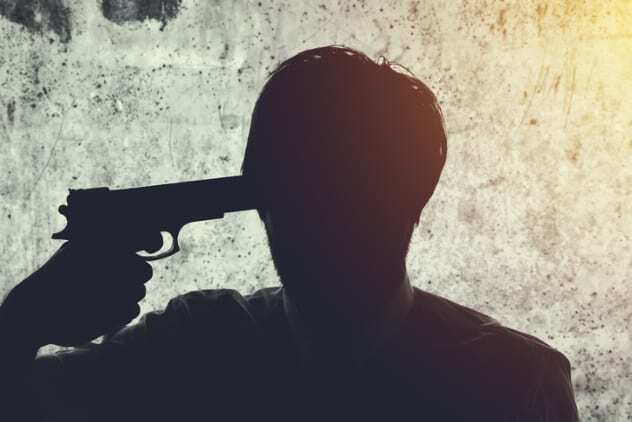 While many assume that a bullet to the head will provide a clear path to a successful suicide, it’s not actually guaranteed, and many people have shot themselves in the head and lived to tell about it. Here are ten cases of such individuals who survived a suicide attempt by gunshot to the head. In January 2018, a woman named Svetlana Shedega was found shot dead, and a man named Oleg Shegeda was found critically wounded in St. Louis, Missouri. 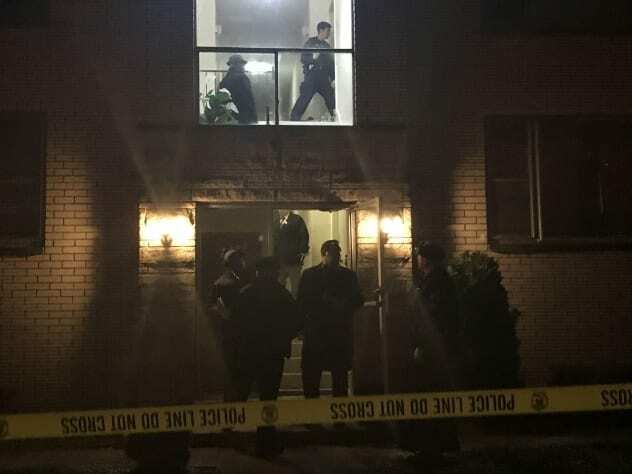 Police were called when neighbors heard gunshot sounds coming from the apartment. Upon their arrival, they entered the apartment to discover Svetlana lying dead on the floor with several gunshot wounds and Oleg with one single gunshot wound and a gun in his hand. The police took Oleg to the hospital to be treated for his injuries. Svetlana was 67 years old at the time of her death, and the two had lived in the apartment for 20 years. Oleg Shedega would be officially charged a week later with the murder of Svetlana Shedega. Cameron Underwood would be 26 years old when he would finally receive a new face in 2018 after he shot himself in the head in 2016. 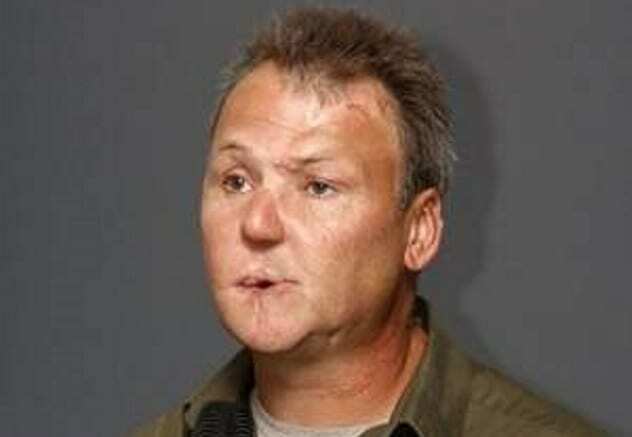 He was extremely fortunate in that his face was restored relatively quickly with surgery. Most patients have to wait longer to receive face transplants, leading to severe emotional trauma, such as the depression which stems from social criticism and feeling guilty. Cameron spent months in the hospital after he attempted to end his own life with a gun, an act which removed most of his jaw, all but one of his teeth, and basically the bottom half of his face, on the night of June 26, 2016. He was fed through tubes and covered up to his eyes, which remained. Like all too many who commit or attempt suicide, Cameron had been battling severe depression and the resultant alcoholism, which hurt significantly more than it helped. 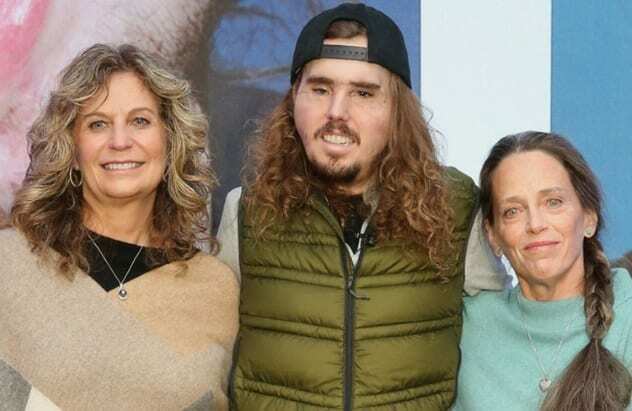 But in the end, Cameron Underwood received the opportunity of a lifetime, the opportunity to smile again, when doctors completely rebuilt his entire face, giving him a new jaw, teeth, and everything else that had been damaged by the gunshot. Today, Cameron is outspoken about his experience and tells about how he’s completely different from who he once was. Sometimes, through a failed suicide attempt, people can find a new appreciation for life. For many of us, it’s hard to fathom why someone like Daniel von Bargen would attempt to take his own life—he was a former actor on the hit television show Seinfeld and the movie Super Troopers, but this Hollywood star would end up turning a gun on himself and pulling the trigger back in 2012. Shortly after he raised the gun to his temple and fired, 911 operators received a call about a man who had been shot—amazingly, the call was placed by von Bargen, moments after he’d shot himself. Even more insane, von Bargen was coherent and capable of holding a conversation with the operator while he awaited the arrival of emergency services. The actor then went on to explain to the operator that he’d been suffering from diabetes for years and was supposed to have several toes amputated but didn’t want to go through with it. He said, “I’ve shot myself in the head . . . and I need help.” Then, when prompted, the actor explained that he had shot himself in the temple. 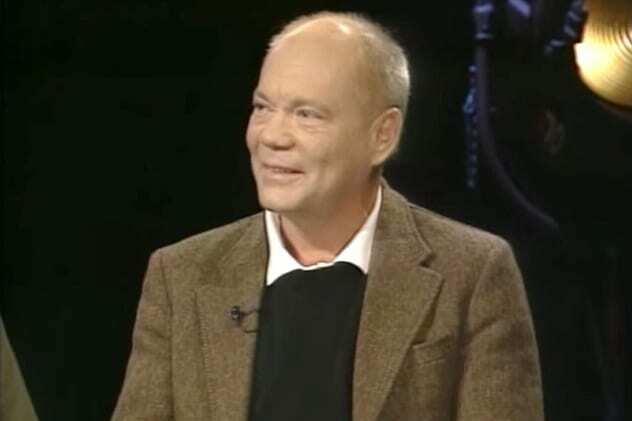 Sadly, Daniel von Bargen died in 2015 from complications arising from his diabetes. Featured on radio shows and television and making appearances as a public speaker, David Parnell is the last person you’d expect has survived a self-inflicted gunshot wound. He’s married and has fathered seven children and travels the world to engage live audiences to tell his story. In 2003, after an extremely long history of drug abuse that had spanned 23 years, David’s wife Amy had had enough of his antics and decided to leave him—for David, this was his world collapsing around him. David then took his SKS assault rifle, placed it beneath his chin, and pulled the trigger. But rather than the bullet traveling through his brain and exiting through the top of his skull, killing him in an instant like David had planned, the bullet exited through the front of his skull between his eyes, breaking almost every single bone in his face. But David had been high on meth at the time and didn’t even fall unconscious. He sat on the floor while Amy called emergency services, holding two halves of his split head together, and was actually capable of speaking, telling everyone how sorry he was for what he’d done. This wasn’t actually David’s first attempt, but it would prove to be his last. Three years prior, David hanged himself, but after he had fallen unconscious, someone found him and cut him down. He now tells his story and of the dangers of drug and alcohol abuse, being featured all over the world on Internet sites, in interviews, and in public speaking engagements to let people know where such radically poor life choices can ultimately lead in hopes of saving a few lives from experiencing the agony that he has—or worse. Katie Stubblefield was only 18 years old when her boyfriend broke up with her in 2015, leading to an event that would dramatically change her life forever. That’s when Katie took a gun, put it to her face, and pulled the trigger. Every part of her face, from her mouth to her nose, her sinus cavities, and her eyes, were all damaged in the blast. And like Cameron Underwood, Katie would receive a face transplant through the hard efforts of surgeons. The same surgeon worked on both Katie and Cameron. She had taken her brother Robert’s hunting rifle in an attempt to take her own life, one that went horribly wrong. The shot didn’t kill her but left her horribly disfigured, and the photos from the events following are striking. But ultimately, Katie would receive her new face and then have to deal with the adjustment period of returning to as close to a normal life as she could manage. She is, however, extremely fortunate, as only 40 procedures like Katie’s had been done at the time that hers was, and of all the facial damage the surgeons had worked on prior, Katie’s was the most severe. These are the miracles of modern medicine. The case of Victor Sibson is one of the most tragic stories of survival out there. Sibson was a young man of only 21 years old when he shot himself in the head after a night of drinking on April 19, 2017. 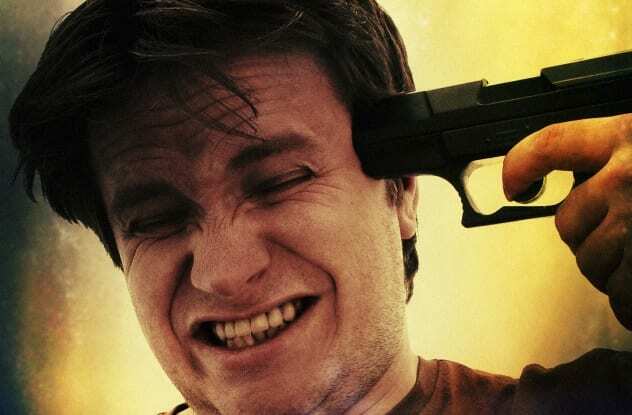 Even more tragic than such a young man attempting to take his own life and failing is that his 22-year-old girlfriend was present at the time and attempted to stop him, but he was able to discharge the firearm anyway. The bullet from Sibson’s gun traveled through his head and into the chest of his girlfriend, Brittany-Mae Haag, after entering through her armpit that sat beneath her raised hand. Police and paramedic services arrived at the scene to find both laying on the floor with bullet holes. Victor had an exit wound through the top of his head, and both were rapidly dying. Medical teams were able to save Victor’s life, but Brittany-Mae died from the critical injuries to her internal organs, telling them with her last breaths what had happened—that Victor had shot himself purposely and her accidentally. Victor Sibson would go on to be charged in the death of Brittany-Mae Haag and turned himself in to stand trial. He was formally charged with murder in the second degree. In 2011, another man would survive a self-inflicted gunshot wound to the head and live to tell about it when he attempted suicide in the highly public parking lot of a Bed Bath & Beyond in Portsmouth, Maine. Police initially responded to a suspicious shooting and found the man but thought that someone else had actually pulled the trigger. Upon investigation, they quickly determined that the man himself had decided to take his own life in a highly public place—and failed. He was taken to the hospital and survived. It’s unknown why the man chose the Bed Bath & Beyond parking lot, but it definitely goes down in history as one of the most unusual places to attempt a suicide. It would be over a year before Lance Paulson would finally start the process of standing trial for his crime: the murder of his longtime friend Steve Gagnon, who was 50 years old at the time of the shooting. The incident took place in April 2017 El Cerrito, California, a city on the east side of the San Francisco Bay. Apparently, there was a financial dispute which caused the event in which Paulson, then 51, drew a gun and shot Gagnon and then turned the gun on himself in an attempt to end his own life. He was rushed to the hospital, and no one thought he would make it, but Paulson survived. It would take a full month to heal from his injuries, though charges were officially brought against him within 72 hours of his arrest, per state law. 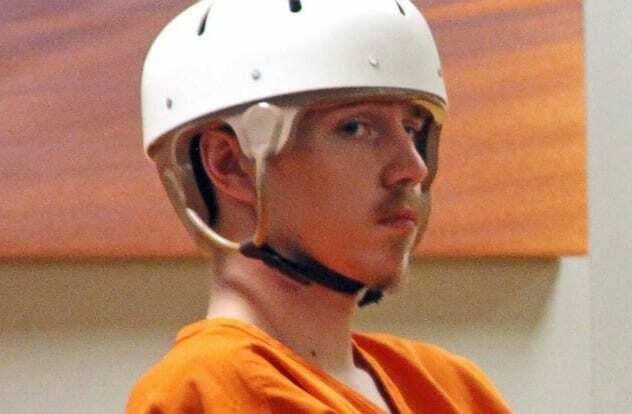 The district attorney alleged that the motive behind the murder and attempted suicide was a $20,000 debt, and witnesses testified that this was the case, by Paulson’s own admission. Two lives were completely ruined over money. Cody Mark Patrick was an American traveling abroad, a tourist in Cambodia, when he made an attempt on his own life in 2008. Police found drugs in the tourist’s hotel room, though they declined to say which kind, after the man went to a shooting range in the Ang Snuol district of the Kandal province of the country. The 33-year-old man walked into the gun range, purchased ten bullets, fired off seven of them, and then discharged the eighth round into his own head. He was treated for his injuries at a hospital in Bangkok, Thailand, where he would survive. As there are no laws against attempted suicide in Cambodia, Patrick would not be brought up on charges of attempted suicide for the event. 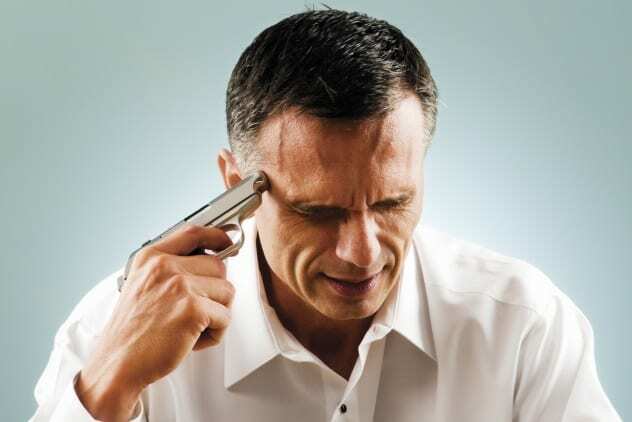 In some countries, such as Nigeria, merely attempting suicide is a crime. Erik Kramer is a former NFL football player for the Atlanta Falcons, Detroit Lions, Chicago Bears, and San Diego Chargers in the United States and also played for the Calgary Stampeders in Canada. He, too, would go on to attempt suicide himself, proving further that fame, status, and wealth don’t always exempt people from the cold, hard facts of life that can sometimes lead them to try to take their own lives. Kramer had it all planned out to the last detail back in 2015. He had been suffering from severe depression as the result of the recent overdose death of his son, written a suicide note to those closest to him, and dropped off his children. He then proceeded to shoot himself in the head. But miraculously, Erik Kramer survived. When police and ambulances arrived, they noted that he had a non-life-threatening gunshot wound and took him to the hospital. 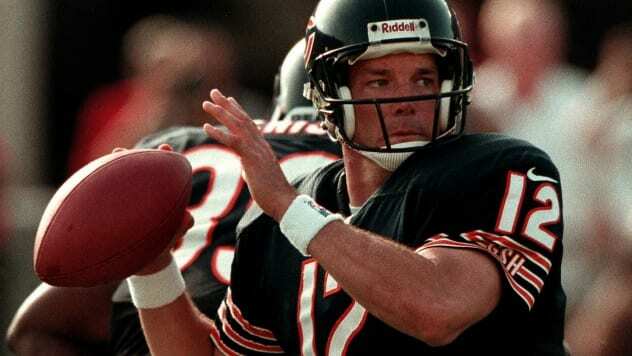 Erik Kramer would be another person who went on to tell his story of depression and survival, giving interviews and spreading his tale of sadness, suicide attempt, and hope. Read more about suicide on 10 Attempted Suicides With Unforeseen Consequences and 10 Common Misconceptions About Suicide.